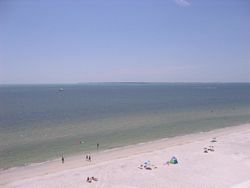 This unit is a Gulf front 1 bedroom. You have the privacy of your own room with a king bed, while family or friends are sleeping on the queen size sleeper sofa in the livingroom area. 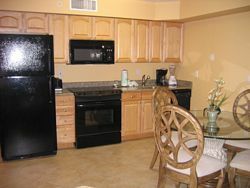 This unit has a fully equipped kitchen, spacious bathroom and livingroom area. You can relax and watch TV in the bedroom too. 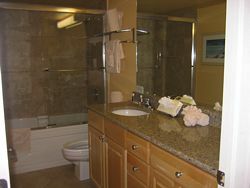 This unit also has a jacuzzi bath tub to relax and enjoy. 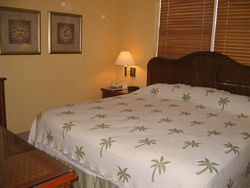 This unit decor is palm trees. 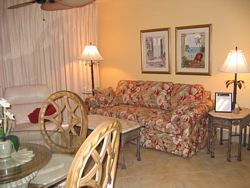 It is equipped with a safe for your personal belongings. 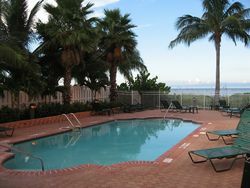 You can enjoy watching movies with the DVD player, blend up a mixed drink, or just sit out on the lanai with a cup of coffee enjoying the view of the Gulf.